I'm a software engineer in developing IOT application now, and having a huge passion to touch new technology and overcoming challenges from daily work. In career path, I plan to be a master on DevOps, CI/CD, and software architect in C++, python, nodejs. In free time, I enjoy to play side projects with my friends that is a good way to increase our soft-skill of coding, problem solving, marketing sense. Micro-Service Development : Developing Micro-Service to connect different IOT application such as MQTT, REST, influxDB, MS Azure, AWS, and so on. This service is based on docker, DDS protocol to provide robust, real-time, and scalable M2M communication network. Agile + DevOps workflow : Scrum workflow and CI/CD pipeline. Understanding CI/CD IT system (Jenkins, Gitlab CI) in git version control , unit test (gtest), static code analysis (coverity), memory check (valgrind), and container deployment (docker / artifactory). Developing 6/9 axis sensor fusion, mag calibration, magnetometer-based algorithm in drone, IOT, robot, android platform application, were implemented in products of HTC, DJI, MI, Harbosan, GoerTek, Cyewee and so on. Developing vehicle detection algorithm in E-park and vehicle counter application, and design in about 5 customers’ projects such as Movtek, Gemtek, and Nietzsche Company. Technical support and on-site service over 20 china customers. Provided technical support and on-site Service for customer service that was over 500 cases. Suggested IOT, automation, data center, server system, and surveillance solution for SI that supported over 10 projects. Also, designed an IOT solution demo box for agriculture irrigating application for Sales promotion. Being trainer for product training for oversea FAE, Sale, and channel partner. There were 4 times online product training for India and Brazil FAE, and 3 times product training for Middle-East Sales. 2013 - Bronze Medal - MXIC 12th Golden Silicon Award in Application Sector - Led teams with 4 members and win over 100 teams in the finals. 2011 / 2012 - Champion twice - 1st & 2nd Energy Efficiency Plant Factory Competition - Led teams with 7 members to join two time competition, and win over 10 teams in the finals. 2008 / 2010 - Bronze Medal - Field Robot Competition - win over 10 teams in the finals. 2011 - NTU Presidential Award in Spring Semester. C/C++ - Linux app / MCU firmware development. Python - Web Application / Machine Learning / Parsing. Matlab - Scientific Analysis / Algorithm Development. A parking detection product used in parallel parking lot detection, indoor and outdoor parking lot management system. ADAM-3600 RTU / IOT gateway focus on water / oil / irrigation application, and this demo box show the efficient capability to build up a protocol / interface and gateway in 30 sec. Product Introduction and hand-on Training for Medium East Channel Parents. Product Introduction and WebOP software hand-on training for Brazil / Indian FAE. Product Introduction and KW multi-prog software hand-on training for Brazil / Indian FAE. Modbus Introduction and hand-on training for Indian FAE. Fuzzy sliding mode controller implement in balance control of rider-less bicycle with a gyroscopic balancer. Trajectory control in 6-axis robot arm system. A novel network protocol topology simulation in Named Data Networking. Implement QPSK / FSK / ASK / BPSK signal condition method in NI USRP device. Wireless AC Motor control by android app with Bluetooth. Puzzle solver algorithm development with 3 pi robot. Web-based remote control and monitor in shrimp selector system. Smart home system service building with python Django framework. Statistic visualization website service building with python Django framework. Hospital drop data logger and monitor by android app. Smart QR code door locker device. Clear Robot System and app control. Web-based remote control and monitor in light control system of plant factory. ADDA teaching module development with Stm32F0 MCU that demonstrate ADC / DAC / Audio / Filter function for students. Historical relics introducing android app with auto-object recognition by deep learning mobile-net method. Food cart iOS app with google firebase database. E-parking algorithm optimization with k-mean (label) and random forest (feature selection). Daily Open Price Prediction of Taiwan Stock Price Index Futures (TXF) with random forest. Automatic future trading system with strategy composition and Fund management. Ｕsed automobiles market app with React Native and Gitlab CI. 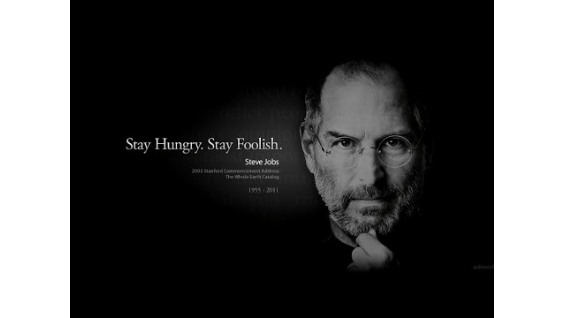 Steve Jobs (1955-2011) said “Stay hungry. Stay foolish”. I keep it in mind and stay hungry on any new technology in my school life and working time. At first, I introduce myself shortly. My name is Ming- Hung, Hsieh from Taiwan, and my background is Mechatronics, Robot, and Automatic Control. I graduated from National Taiwan University, and my Bachelor and Master degree were in Bio-Industrial Mechatronics Engineering. I strengthened my skills on two parts: technical skill and leadership, so I had organized a plan to attain this goal. For technical skill, my partner and I published a conference paper, and we got the best paper award in 2014 IEEE International Symposium on ROSE. For leadership skill, I led our team to won 2 champion prizes and 1 bronze medal in 4 competitions. Most importantly, these experiences improved my ability to be a leader and skill on communication, project management, and presentation. After that, I finish my one-year military service as a second lieutenant in ROC Artillery. I keep responsibility in my mind from the military life. Moreover, I think these skills are key roles to be qualified in this occupation. I know what I want in my career is to interact with people and conquers challenges, because I feel fulfilled at the end of resolving a difficult problem with my teammate. My first job in Advantech was FAE, I had already support exceeded 500 cases, over 10 customer’s projects, and 7 times online product training in IOT and Automation application. Next, I had been an algorithm team leader with 2 team members on iSentek Inc., and iSentek focus on magnetic sensor such as compass, current sensor and angular sensor. Our team developed sensor fusion algorithm such as attitude estimation, sensor calibration, vehicle detection as well as customized algorithms for specific applications such as smart locker, drone, phone. How to manage the developing schedule, resource, communication with the other department and boss was a challenge for me in this position. 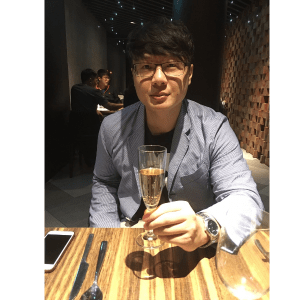 The third job, I came to Adlinktech as a software engineer that is a famous company with data acquisition technology and industrial computer. In this department, we focus on IOT application to develop the service for manufacturers to increase the product line monitor and deployment. I learn more knowledge about IOT knowledge, agile culture, and DevOps developing process. Finally, this was a milestone for me, due my father was bad with his diabetes and heart disease, I moved to this job for less business trip and commuting time that I can handle any emergency. That's the reason why I left the second job. I always go swimming, jogging, scuba diving and playing basketball. Furthermore, I got licenses of life guard and open water dive. This way revitalized me on the frustration of my mother’s death from stomach cancer. Since that time, I always hold positive attitude to face any challenges and difficulty, because no tough situation can be over than the situation that you cannot do anything to release parent’s pain from diseases or to prevent their death.